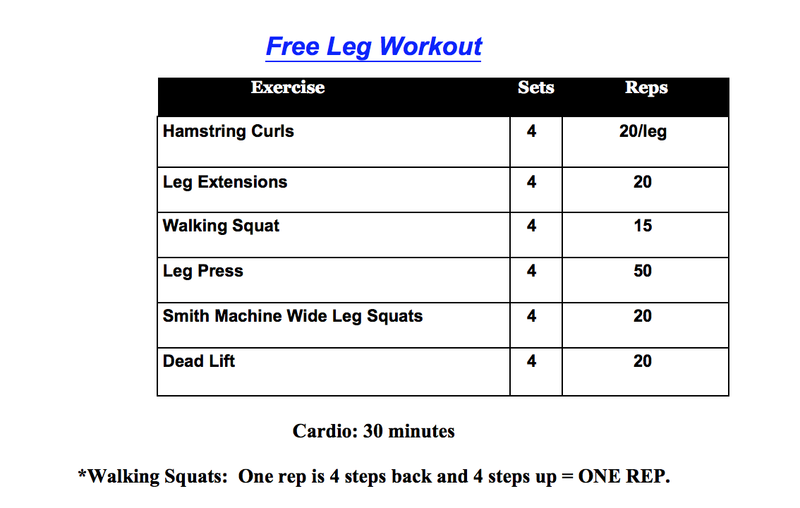 Welcome to my new, Free Leg workout. It was a real killer today, but worth every rep. Today I did higher reps, mod weight and really tried to burn out those muscles, especially on the leg press. You didn’t read the workout wrong, you will be doing 4 sets of 50 reps with little to NO resting during the set if you can. Really focus on that mind, muscle connection and push through the burn. When doing the walking squats keep those quads contracted and remember, 4 steps back and then 4 steps forward is ONE rep. Have a great workout, drink plenty of BCAA’s and make sure to pound your protein as soon as you have finished up. Your muscles will have earned it!